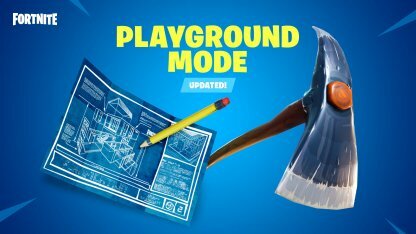 Playground mode is back! Here is everything you need to know about the Playground Mode in Fortnite! 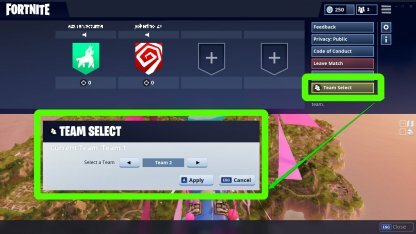 Introducing Playground Challenge Mini Games! 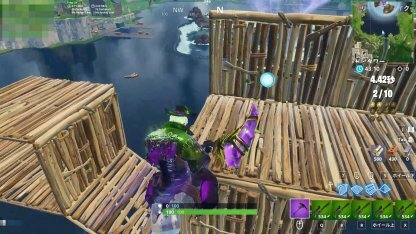 Practice your movement and building skills with the Timed Trial mini game! Collect all tokens before the time runs out! Your building speed and precision will be tested in the Building Challenge. Follow the pattern shown on the screen and build the requested platform as fast as you can! You can test out new weapons and practice your aim without the hassle of being shot back! In this challenge, deal as much damage to the 2 test dummies before the time runs out. The dummies will start moving in higher difficulty! The classic Spiky Stadium has gone through an overhaul to make your deadly shenanigans all the more accessible! All hands on deck! 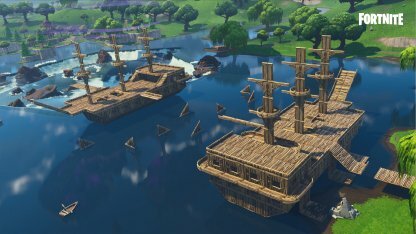 Port-A-Pirate Ship is a mini game where you and your friends can duke out an naval clash on their very own pirate ship! Use whatever you can to blow your rival's ship into smithereens! There also exists a mode where you can use a metal Pirate Ship instead of a wooden one. The sturdier the ship, more the firepower you need to take them down! Whip out your launchers and grenades! 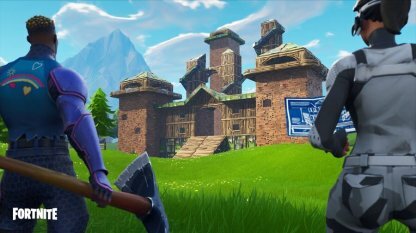 Explore the Fortnite map on your own or with a full Squad! Players will have 55 minutes to freely move about on the map before the Storms starts closing in during the last 5 minutes. Have mock battles with your friends, switch teams, and don't worry about getting eliminated as respawn takes place in just 3 seconds! 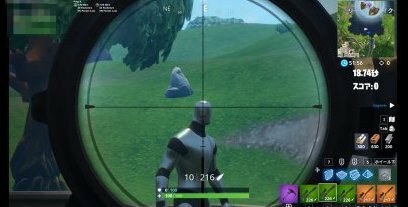 Note that respawn will not work if the player is eliminated by the Storm. Introduced in the v6.01 Update, Playgrounds now have customization options allowing you to take more control over the mode! 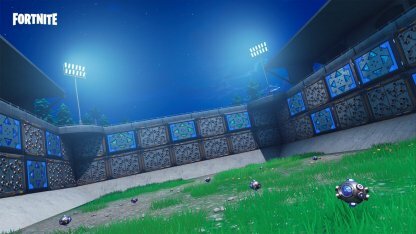 Chat is open to everyone in the Playground match regardless of which team you're on. 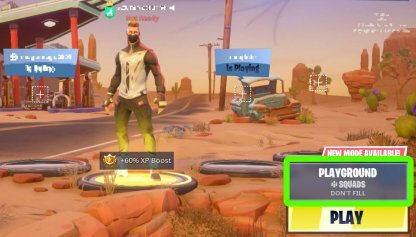 You will not be able to complete your regular Weekly Challenges in Playground mode. 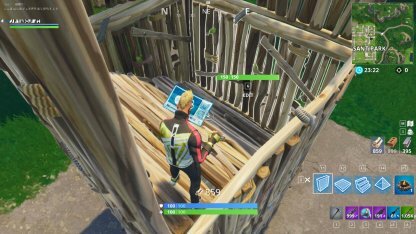 Playground also offers more loot and building resources for players to play with. No need to fight over weapons and recovery items! 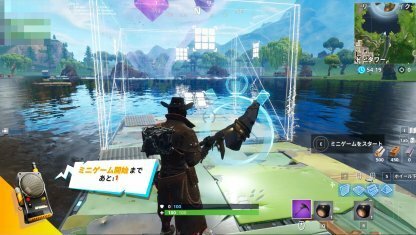 Playground is filled with treasure chests, ammo boxes, and supply crates ready for the taking! 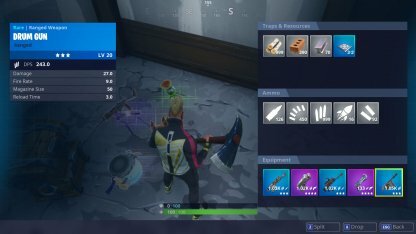 All treasure chests and ammo boxes have a 100% spawn chance in Playground. 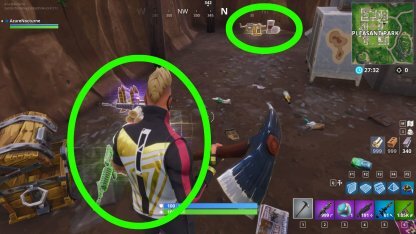 Floor spawn areas will also always have items so it's a good way of learning where loot can be found in the game! 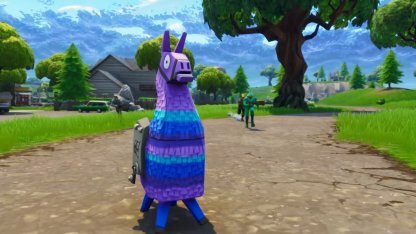 The amount of materials you get from harvesting and with 100 Supply Llamas on the map, you will have a virtually unlimited supply of materials. Note that the maximum amount of each material you can carry remains unchanged. With no enemies to worry about, you have free reign to do whatever you want! 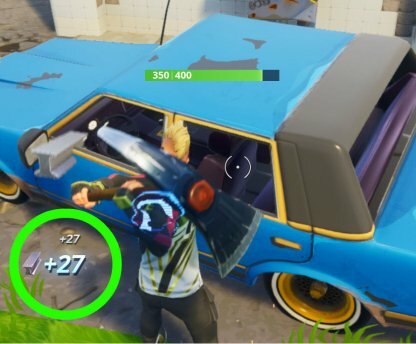 As of the V5.30 update, Playground mode now has dozens of ATKs just waiting to be driven! 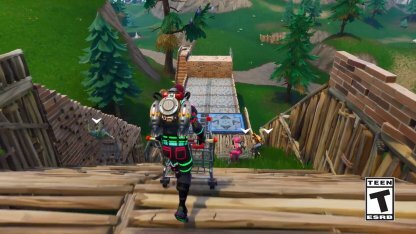 Practice your ATK driving skills in Playground mode and remember, never cut corners! Raid the chests and floor loots for the rare and legendary weapons that you've been dying to try. See how quickly you can put up a tower or go crazy and build a castle!